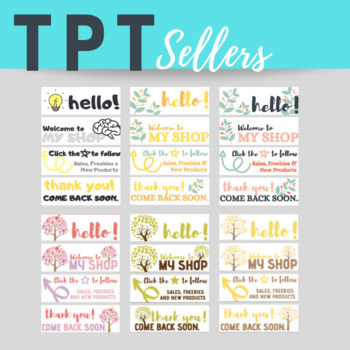 Want one of those fancy flashing banners that doesn't look too elementary for your TPT store? Why not get them all? SECONDARY SELLERS, REJOICE! You can change your banner as often as you change your underwear. 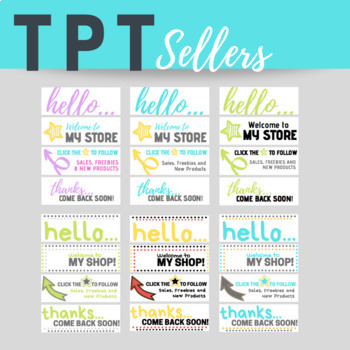 Try these animated Quote Box Banner to draw your shopper's attention. Comes in a bundle with matching Leaderboard Banner and Side Bar Banner FOR EVERY DESIGN, plus step by step instructions for easy installation. 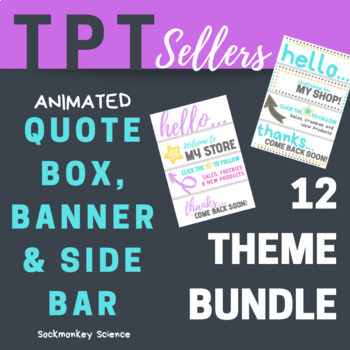 Give your shop a fresh look in minutes with this TPT Store Design Bundle! It's got everything you need. And then some. The Flash Bulb banner set is a premium theme, so it flashes, twinkles and POPS! >>> Just need one? You can find them HERE!